How many times and in how many ways can this story be told? 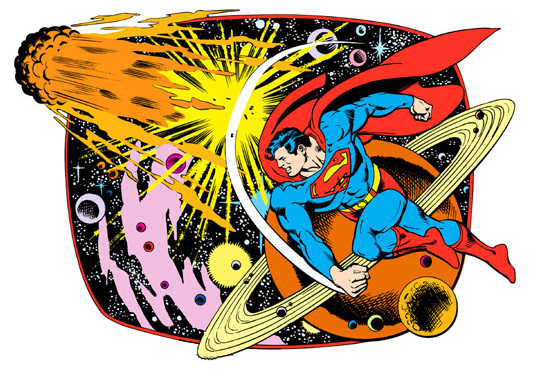 Clark Kent was conceived and born as Kal-El on a distant world, Krypton, to Jor-El and Lara. Like Moses in the tales of old, he was placed into an interstellar basket in the form of an experimental spacecraft and cast upon a river of the cosmos, carried by sophisticated computer program and telemetry to the planet Earth, where Jor-El had calculated that his son would have the best chance at a good life. And a good life is exactly what the boy had. Clark Kent grew up a healthy boy, strong and free from childhood ailments. His parents instilled in him a deep and abiding sense of morality—truth, justice, and compassion. Clark was a good kid, seldom in serious trouble, but he was also a kid. He got in occasional trouble, and he learned life lessons like kids tend to do. As he became a teen, he worked for his parents on the farm and held down part-time jobs to pay for things. He worked on cars, did well in school, and excelled at sports. He had a happy childhood and a very healthy adolescence. This all changed with The Talk. There had been a series of odd incidents—strange headaches that left Clark convinced he had seen through solid objects, an "impossibly" strong showing when he tried out for the varsity football team, and even a couple of truly bizarre incidents involving the spontaneous combustion of a woodworking project and a copy of Catcher in the Rye. As these events became too many to ignore, Jonathan sat Clark down and explained the truth of his mysterious crash-landing amongst the cornstalk's of the Kents' back forty. Jonathan showed Clark the spacecraft that had brought him to Earth. And so began the process of struggling with and eventually accepting his identity. After finishing high school, Clark had discovered most of his powers. Led by a crystalline device from his spacecraft, he found his way to the Arctic Circle, where the device constructed a place for his education to continue. Holographic artificial recreations of his Kryptonian parents taught Clark of his people, his powers, and his heritage, and in time Clark came to accept these and master his powers. He traveled the world for year or two, always returning to the "Fortress of Solitude," as he called it, and eventually decided on a career in journalism, which he'd already been considering while in high school. After graduation, he impressed a number of industry notables with his body of work, having built up quite an extensive online portfolio of work, and so he found himself with a job at one of the last great metropolitan newspapers—The Daily Planet. 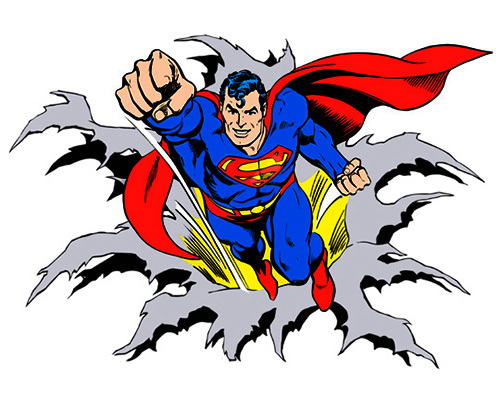 Superman debuted soon after, and over the years since Superman has become a household name, an icon—a living simple of hope in an age of mythical gods and heroes who walk among mortal humankind. Kon-El, AKA Superboy, is his clone.